I figure between (as I write) the 267 episodes of ShopTalk, 134 episodes of CodePen Radio, 154 video screencasts (and many hundreds more as part of the different series), and all my guest podcast apperances, I'm edging on 1,000 things I've voice-recorded for public consumption. 98% of that was with the Rode Podcaster, the same exact microphone I documented using in 2008. 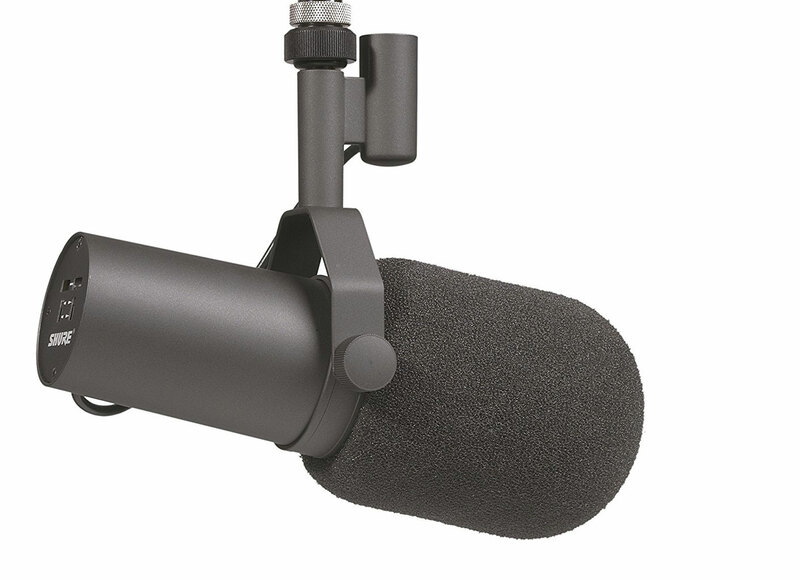 I figured it was about time for an upgrade, as I plan to continue podcasting and screencasting for another 10 years! I know audio quality is a big deal. I don't quite consider myself an audiophile, but I know I prefer listening to podcasts with good audio quality, and I'd like to make sure what I produce is as good of quality as is practical for me right now. I had our podcast editor Chris Enns on ShopTalk to talk gear'n'stuff, and this setup is largely his recommendations. A good part of the beauty of this setup is that it's designed around making it sound like you're in an amazing studio, without actually having to be. Pictured here with the big alternate big fluffy cover that it ships with, which is helpful for minimizing breathing noises and pop filtering. flat, wide-range frequency response for exceptionally clean and natural reproduction of both music and speech. It's a pretty dang good microphone. (Chris Enns also recommended the Heil PR 40, which is in the same range.) On my desk, I have a Swivel Mount Boom Arm to put it on, so I can swing it into place when using it, and swing it away when I'm not. Chris Enns described DBX 286s to me as a sound sweetener. It's an optional bit, but plugging the microphone into this first does a bunch of nice stuff for you. It's a big part of the "sound like your in a nice studio when you aren't" situation. This is the device that you actually plugin into your computer via USB. Your computer will recognize it as a sound input device. The Focusrite Scarlett comes in a variety of models, mostly differentiated by how many inputs it has. If you know you'll only ever need one input, the Solo model has you covered at $99. I went for the 2i4 model which has two microphone inputs and four instrument inputs, just in case I want to do something a bit more robust with it at some point. Even just having a second podcast guest in the same vicinity, you could pipe them into one computer and get separate tracks, which is cool. With the DBX 286s, you won't need any gain from the Focusrite Scarlett, but if you skip the DBX 286s (which you totally can), you will. That's Shure SM7B > DBX 286s > Scarlett Focusrite > Computer. 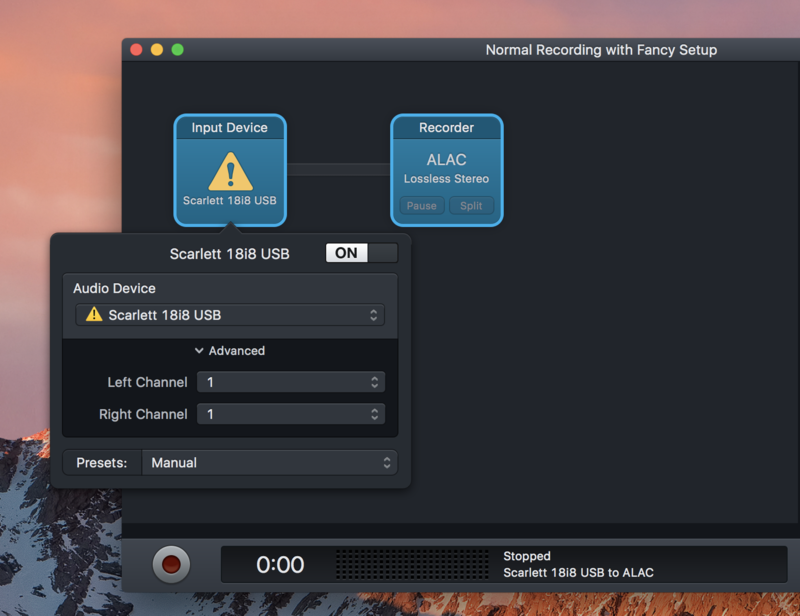 Then I use Audio Hijack Pro to record, so I can get the mono-audio recorded on both left and right channels properly. I recently received a similar (different hardware, but very similar) setup, sans the sound sweetener. Very pleased with the results, upgrading from my pretty good Blue Yeti. Looking forward to hearing what comes out of this setup in your upcoming recordings. Like Chris Enns mentioned in the shoptalk episode in question – you got a good podcasting voice to start with. I am sure this mic + rig will take it to the next level! What are your plans for recording on the road when you have to, fall back to the old setup? De-esser might be a good addition to the setup. This one for e.g. https://www.sweetwater.com/store/detail/520DeEsser. There is a de-esser built into the DBX 286s! Not sure if it’s as good as that one, but it’s there. Hey Chris, thanks for this, it came at just the right time. I had a pretty good mic, so I bought the DBX 286s and the Focusrite Scarlett 2i4. I have them set up, and getting great sounding audio. I’m recording with Screenflow, doing screencasts. The audio is coming in as Mono though, only playing in my left ear. In Screenflow, if I turn on “Supress background noise” it pipes it into both ears, but since I don’t NEED that feature (anymore) I’d like to not have to use it. There’s a stereo/mono switch on the Direct Monitor, but I’m not using Direct Monitor, and therefore it doesn’t do anything. Is there a trick to making the sound come in both sides? I don’t need real stereo, I just don’t want it only one sided. If I need to do this in software I’ll keep looking in screenflow to see if there’s a better way to get it on both sides. I had that same issue. Thanks for creating my Christmas present wish list for this year. 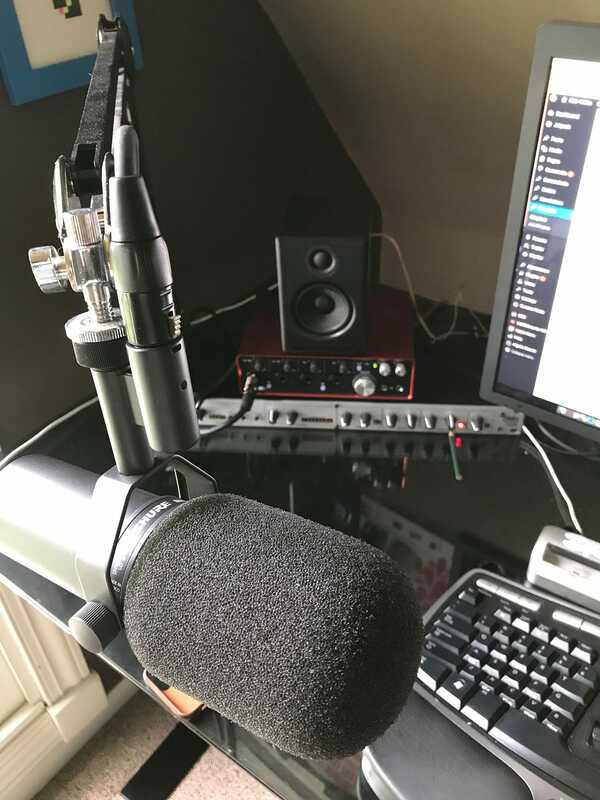 I still love using the Rode Podcaster mic that you’ve had the past few years but I’m keen to do a bit of Guitar/Uke recording and this looks like a setup that’s going to cover both scenarios nicely. Now I just need to get the consistency back with podcasting to justify the cost.